With over 16 years of combined experience, A1 DATASHRED is the most professional, cost-effective and trusted shredding company. Protecting your sensitive documents through document destruction, is one of the most vital business practices and personal practices you can make to avoid theft and fraud. With that said, you’ll want to know what exactly what you should be shredding and what you should be keeping securely stored away. Be prepared for your next shredding job and don’t leave anything behind. If you’re like many, you are likely forgetting some “not so obvious documents” in that pile you have set aside. 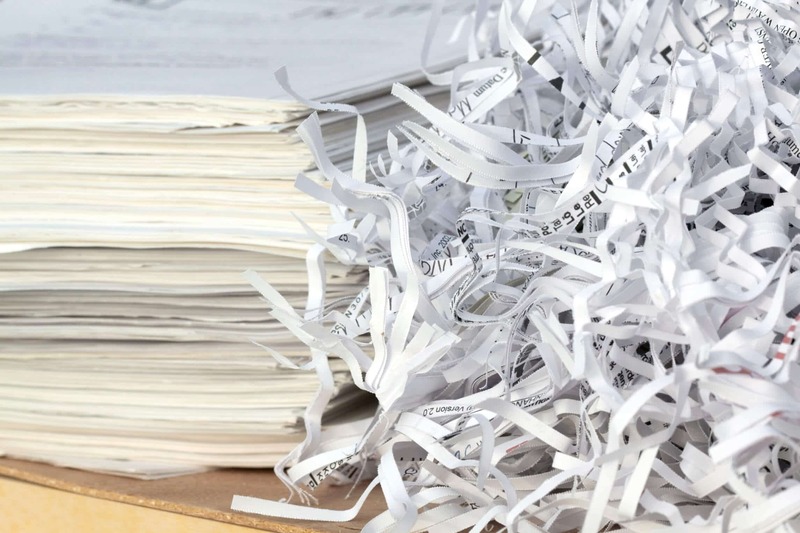 Here are a few documents that, according to Readers Digest, that are just as important to be shredding. While these documents may seem harmless, if you stop and think about the personal information provided on a typical resume, they carry some significant private details that make them an extremely important record to shred. A standard resume includes at least one address, phone numbers, names, email addresses and employment and education history. A thief can discover a lot about an individual from studying their resume alone. Once you arrive at your destination, you should make it a priority to shred your boarding pass. If discovered by the wrong individual, these little documents can provide thieves with your booking ID, giving them detailed information on your specific travels. Frequent flier numbers can also be discovered, all of which allows hackers to get into your travel accounts where they may be able to check into flights and cancel trips. This is another one you may be surprised to be reading but unfortunately children can be a lot more vulnerable to information theft and are victims of identity theft more often than adults in some cases. Birth announcements instantly provide personal physical descriptions such as eye color, birth date, weight and more. Prescription labels include names and the strength and type of drug being prescribed, which automatically provides suggestions about your health status. They also provide information on your Pharmacist; access to these labels provides thieves the information needed to refill prescriptions, putting drugs in the wrong hands. This one can be a bit more difficult as there are tax laws to keep in mind and filing processes to consider. Receipts can supply enough information to thieves as payment data such as card numbers, methods and signatures can all be used to commit crime. In fact, it is common for thieves to use receipts fraudulently to obtain store credit on your behalf. We know this may seem like an odd one, but the logic is very sound and somewhat alarming. Why? These records reveal pet names, which according to studies is the most popular choice for a password. Of course, there are some important pet records you’ll want to hang on to, but you may want to consider shredding other pet related receipts and documents that aren’t necessary to keep, especially if they include your pet’s name.. Using the identity of deceased individuals is hard for most people to wrap their heads around, yet unfortunately it does occur as thieves will use personal information to apply for things fraudulently like loans, tax returns, credit card accounts and more. Be sure you shred any obituaries or funeral pamphlets that are left over. You should avoid including the birth date and maiden in any obituaries if possible. At the end of the day, any document that no longer serves a purpose but contains highly confidential information that may lead a criminal in the right direction, must be shred. Don’t put your identity at risk because you simply don’t have time to shred. We do the work for you so you can continue focusing on business matters that contribute to your bottom line. Our highly trained team is AAA NAID Certified and ready to help you destroy documents in accordance with all relevant privacy legislation. You can rest assured that you are in reliable and good hands for the process. Contact A1 DATASHRED in Boston for more information on how our document shredding services can ensure you are securely destroying all documents you should be. We can guide you through the process and work with you to determine an action plan for your document management. Our solutions are flexible, and we don’t hold you to long-term contracts; you decide how often or how little you’d like to have your documents shred. Call 1-888-95-SHRED to get started.